Rick Blasing is a counselor at Lincoln Middle School, SOTA II and Coulee Montessori. When looking back on a life well lived, the obstacles that once seemed to block all progress or extinguish all hope often were overcome by our resolve to succeed or survive. Over time, we can better understand those challenges that distinguished themselves like sign posts along the way. Such is the case with life that those things once held sway over us or that sent us reeling with grief and despair often were diminished in some manner. It makes no difference of your age or station in life — a barrier can certainly be, at the time, the most threatening obstacle you might have ever faced when it is imposing its will. The irony is that we empower our barriers when we defer to them. Barriers form a relationship with us — like it or not — and we feel helplessly tethered to them if we do not confront them on our own terms. Perhaps it’s the young people in our midst for whom we should have the most concern. The children with supportive, loving homes are the fortunate ones, being grounded with the essential things we all need. Dedicated educators work with these precious souls, seeking to instruct and inspire them on a daily basis. Lacking the benefit of advanced years or a perspective tempered by life experiences, some children may be confronted with an obstacle that may break their spirit or destroy their ability to envision a bright future. Hope can be a fragile thing. In recent years, the city of La Crosse, La Crosse County and the La Crosse School District have worked together to identify and confront barriers to learning. The third annual Rebuilding for Learning Summit, held in August, moved beyond simply identifying barriers to a proactive “rebuilding” movement that has made authentic progress on creating a sustainable web of learning and family supports in our community. To diminish the power of barriers to learning, La Crosse Superintendent Randy Nelson aptly suggested that we don’t just provide a safety net but that we offer a trampoline. The implication is clear — that we must empower our youth and their families to recover, to regroup, to disarm those barriers and to get back in the game. I have a close friend who I’ve known since the seventh grade. He was witty, creative, funny and intellectually curious. I later learned that Dale had endured multiple surgeries before we ever met. Yet Dale never lost his edge, he did not surrender his spirit to childhood spina bifida nor to the incessant tumor that would require the amputation of his foot some years later. Not even the bladder cancer that challenged him nearly a decade ago was able to quell his passion for life. He continues to serve others as an advocate in a county social service agency. He’s a great inspiration to all those he serves. How many of us could continue to give back, as Dale does, when challenged with barriers of that magnitude? What is your barrier? Is it in school, no matter at what level, where mastering a concept or making the grade seems beyond your reach? Is your barrier a negative self-image or a self-esteem that was robbed many years ago? Are friendships your challenge — creating or keeping them? Maybe is it a deep, profound, personal loss that continues to consume you. A broken heart that doesn’t seem to mend. A lost marriage. Or even the lack of a will to continue living. There isn’t a barrier that can’t be lessened, and there isn’t an obstacle that can’t be displaced. Some challenges certainly have the power to forever change life as you know it, but not the power to extinguish your spirit, if you refuse to let it. Perhaps now is the time to gather your resources and embrace those who can empower you — your friend, your neighbor, a teacher, a counselor, people of your faith, your God. Every barrier can be overcome. Remove the power of that roadblock, that obstacle. Make that barrier a climbing wall. Secure your ropes. Grab a toehold. Start climbing. Get going. Now. 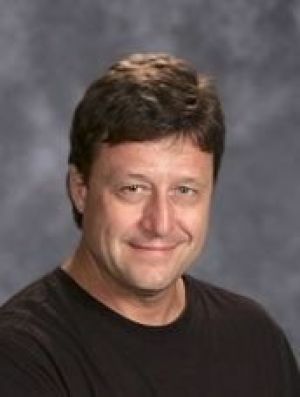 A December, 2012 Tribune guest editorial written by Blasing discussed the face of poverty – particularly as seen by teachers and staff in the school setting. Blasing was contacted by the Tribune after a request was received from a textbook author to include this editorial in a new college book for those students enrolled in teacher education programs. Dr. Sara Powell, professor and chair of education at Belmont Abbey College in North Carolina, is a widely-published author, with numerous journal articles and more than a dozen books with known publishing firms, such a Pearson. She is a frequent speaker at regional and national education conferences. In her most recent work, Your Introduction to Education: Explorations in Teaching, 3rd Edition (2014) Dr. Powell selected twelve editorials from various newspapers around the country to underscore the theme of a particular chapter. Dr. Powell included Mr. Blasing’s editorial on poverty in the chapter entitled, The Societal Context of Schooling in the United States. Blasing’s editorial referenced the current LaCrosse School District Rebuilding for Learning effort currently taking place, as well as other community initiatives. By clicking on this link “Your Introduction to Education ” you will be able to view the cover of the college text, and the guest editorial as it appears in the book. Review questions for the college students, provided at the end of the editorial, were added by Dr. Powell.